What topics do you think we will cover in this unit? What would you like to learn about these issues? Think of the vocabulary terms you have learned in your previous I&S classes, what words come to mind when discussion these issues? What have you learned from the game? What can be done to make the game more equal? What real world situations affect the equity of trade between countries? How could we achieve fair trade? How would you define poverty in terms of the game? What is meant by development? How do we measure development? What trends have been observed in countries during different levels of development? What is meant by disparity? How would you define poverty in terms of development? Let’s look at a new way of defining poverty? In your groups, discuss Mr Rosling’s views on defining poverty. Write down the dimensions of development. Identify which ones you think are means, and which are goals? Rank them according to how important you think they are. How do your ideas differ from Mr Rosling? Do you agree with him that culture is and should be the ultimate goal of any society? Do you believe all societies in the world, including your own, can achieve their goals? What may be some obstacles they face? Explain. How can we encourage different societies to achieve their goals? How can we reduce disparity between countries? Considering everything we have discussed, the videos we watched and the game we played, discuss ways of encouraging development. Consider development in broader terms than just economic: How can countries develop to have a more equal, fair and sustainable society? You can pick a specific country/city/village/region to base your answer, or answer in general terms, but you must describe specific methods that could be undertaken by governments, NGOs, civil society or individuals to help regional or national development. You will present your ideas to the class. What do we mean when we call people and their ideas right or left wing? What are possible drawbacks to the various government systems we have discussed? In groups, you will pick on form of government listed and create a 30 second ad, trying to sell your form of government as THE BEST for the people. 4. Be creative. You may choose to be overly enthusiastic, even exaggerate some facts ( but don’t lie) to get your point across. 5. We will shoot the commercial and present next class. Before moving on, let’s think of what we believe would be a “perfect” government, if there is such a thing. What specific characteristics would be necessary to create a perfect government? A perfect world? First, let’s think about what Utopia is. In groups, read one section of the Wikepedia page on utopia. You will the create a strand on this google doc. Explaining the main ideas related to your topic. Then, you will work on creating your own perfect government. We have been discussing the different aspects and questions related to the circular economy. You will then be placed in groups where you will need to explain the approach to your peers. You will present your idea to the class as a pitch. Who will use it? Why will they use it? If you are making a product, how does the design of your product consider a flow of materials? If you are designing a service, how does it fit within a circular economy? Describe the relationship you will require with your customers/users. 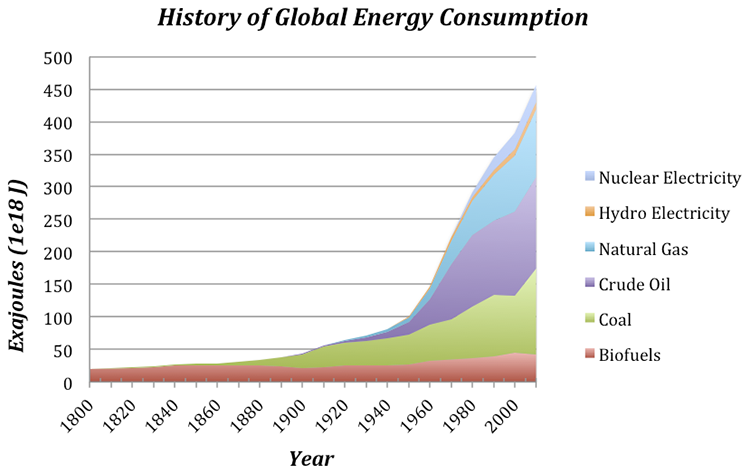 The next unit will be about energy production, consumption and conservation. First, what is climate change? What are green house gases? Where do they come from? What is the difference between climate change and the greenhouse effect? What are the consequences of climate change on people and nature? What strategies are used to reduce climate change and its impacts? In groups, you will answer one of the following questions and present your answers to the class. Use visuals as much as possible. Explain the main lines of the debate over the existence of climate change? Show both sides of the issue, and evaluate their validity. Which nations are the biggest GHG producers? Give a list of each nations and their main source of GHG production. What does the WWF say about how you could become more energy efficient? Research a few other new technologies that can reduce domestic carbon footprint. Is there a controversy over wether GCC is man-made? What is debatable? Thinking back to the resource game, if each time you created a shape, a negative externality would occur to yourself or another country, what would be the long term consequence? What would be a solution? Who is responsible for limiting GCC? What are some solutions to GCC? How realistic are they? Will it be necessary to think “outside the box”? What will it take to stop/limit/control GCC? What does the statement mean to you? What issues are implied in the statement? How do you think we will study these issues? What problems did you encounter in round 1? Most resources in the world are scarce and there is an finite supply (e.g. oil, clean water and steel). However humans wants are infinite. Even once we’ve got basic needs (food, shelter, clothing) we always want more. The purpose of an economic activity is the production of good and services, with scarce resources, to best satisfy human needs and maximise people’s happiness (economic welfare). It is assumed consumption increases economic welfare, although of course it also depletes natural resources which has it own problems. What problems did you try to resolve before the 2nd round ? What did you do differently? Who produces what: Who was best at making a specific thing? What to produce: Should the US make more CDs than cars? How to produce: How do we make the best use of our scarce resources? For whom to produce: Whose needs are greatest (who will pay more) and how best distribute the goods and services to them? But we are not in a prefect world and choices and trade-offs will have to be made. (what do we make, how and for who?) In Economics this is called opportunity cost; the cost of making that trade-off. What did you need to do well in the game? How did you organize yourselves in round 2? Did one person take charge? Was it a proper democracy? Did anyone not like what they’d been given to do? In groups of 2, find one example in the news where economic exchanges, resource allocation, resource scarcity or trade has impacted the lives of people. Present your findings to the class, drawing parallels to the game. **When possible, try to use the vocabulary defined above.